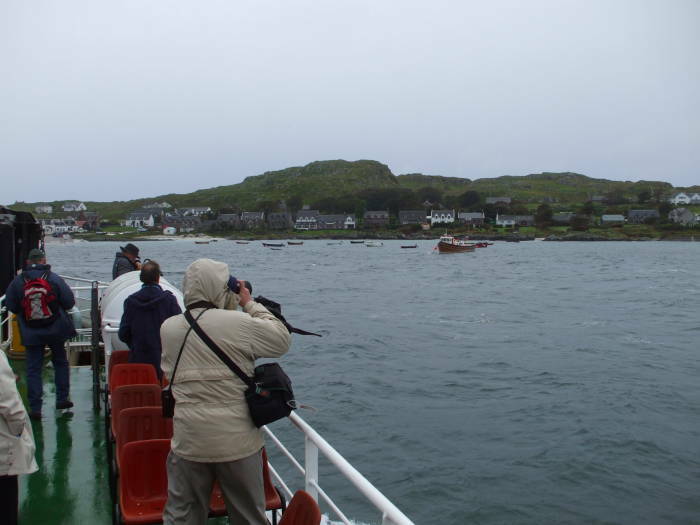 We're on board the M/V Loch Buie, a small ferry approaching the village of Baile Mòr, the only town on Iona. 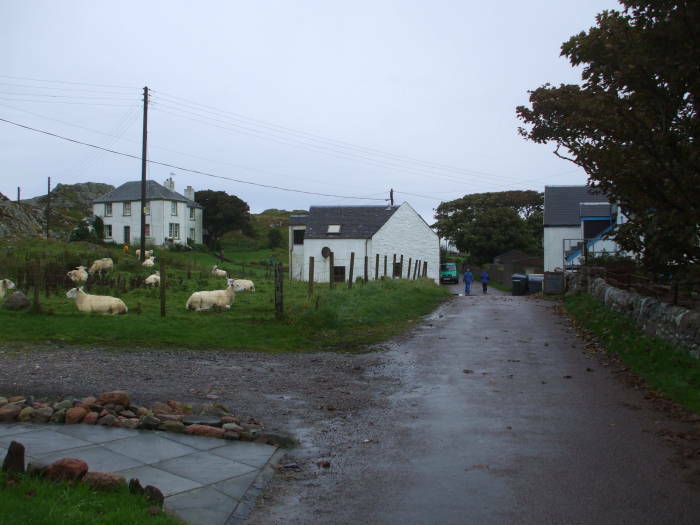 Baile Mòr is also known as St. Rowan's Bay, or more commonly and simply as just "The Village". There's just the village itself, a few scattered homes, and an isolated hostel at the north tip of the island, a little over a kilometer away. 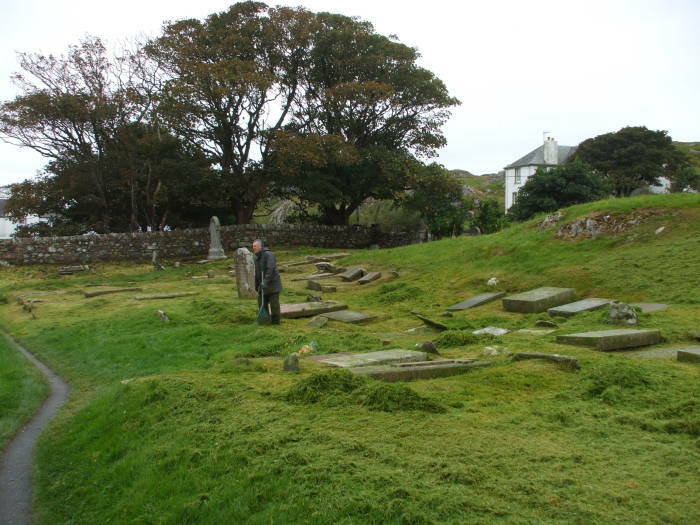 The island has been home for early Celtic Christians and Vikings, and 48 Scottish kings are buried here. 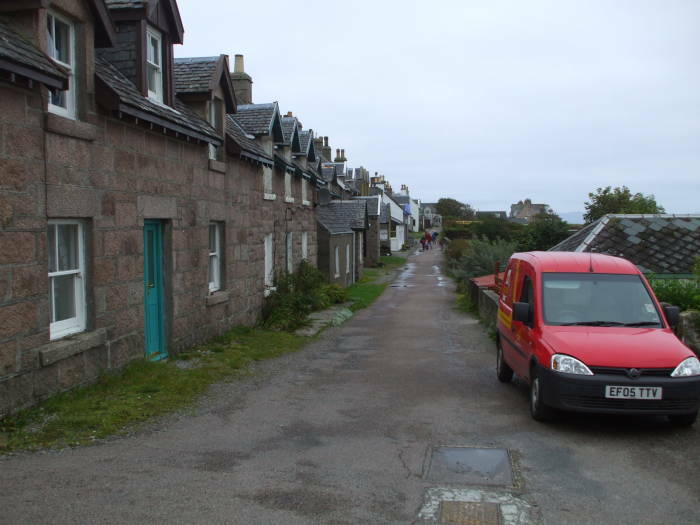 There are few cars on Iona, and if you don't live there you can't take one over on the ferry. That's just fine, there's really no where to drive one and you can easily walk to any point on the island. 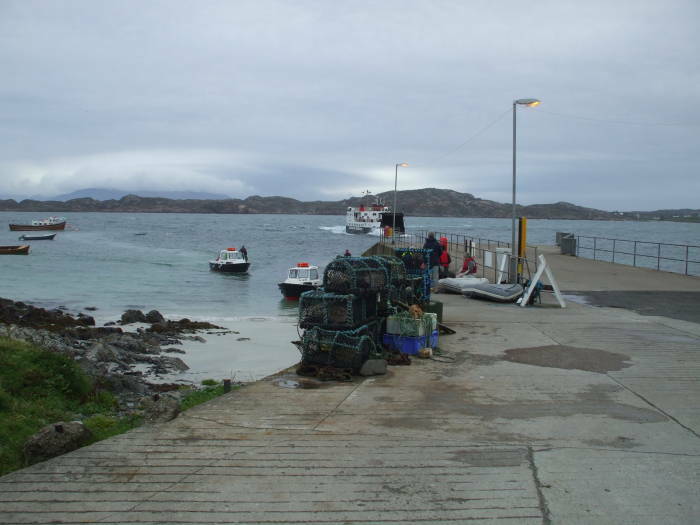 Iona is fairly small, just 1.6 kilometers west to east by 5.6 kilometers north to south. The resident population is just 125, slightly increased by people staying in B&Bs or on spiritual retreats and pilgrimages. The Iona Community is "an ecumenical Christian community of men and women from different walks of life and different traditions in the Christian church committed to seeking new ways of living the gospel of Jesus in today's world." 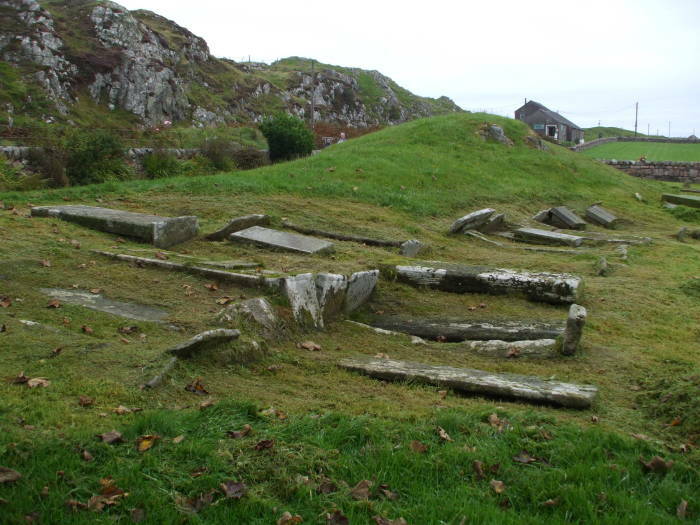 There is speculation that Iona was a sacred island to the Iron Age inhabitants before the 500s. This is just speculation with no evidence, but it is offered as a possible reason for Columba's settling here. Saint Columba, or Golm Cille as he would have called himself in Gaelic, was exiled from his native Ireland in 563. 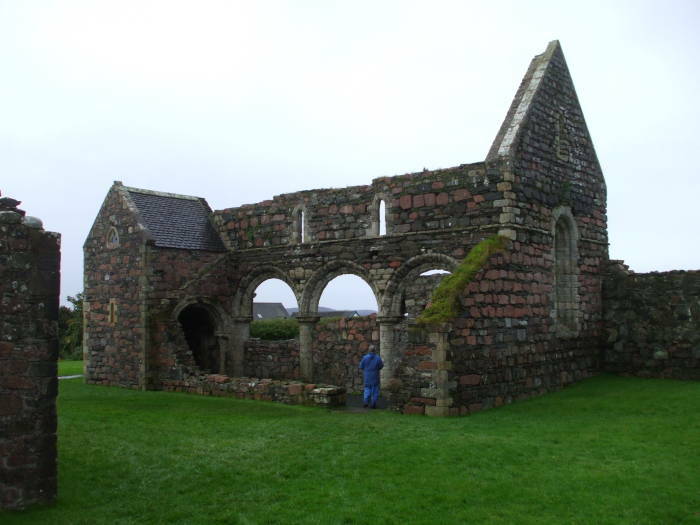 He and twelve companions founded a monastery on Iona. The Book of Kells was likely produced, at least in part, on Iona in the late 700s. But then a series of Viking raids began in 794, and by 849 the monastery was abandoned. Then, in 1208, a Benedictine convent was established. 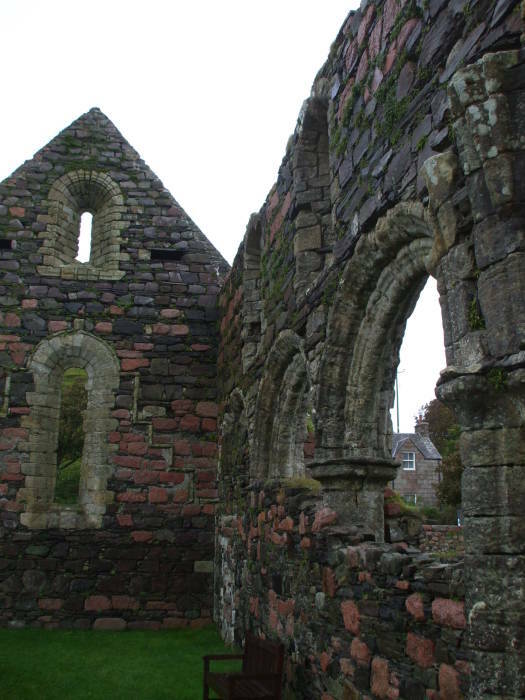 The surviving ruins of the Iona Nunnery, seen here, date from the 12th and 13th centuries. The convent was demolished in the Reformation in the 1500s. 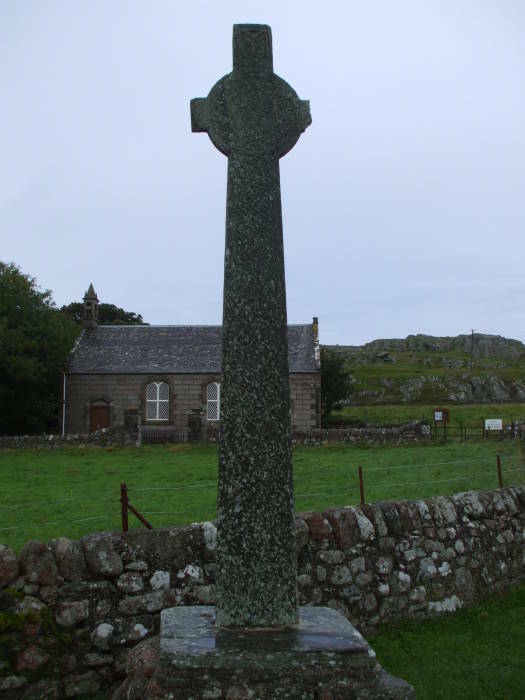 There were 360 Celtic carved crosses on Iona. All but three were destroyed in the Reformation. 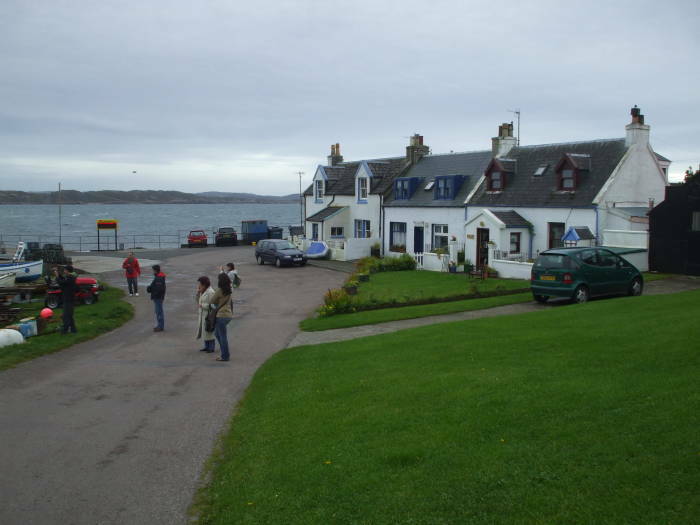 The abbey is directly behind the village, simply walk up the street from the ferry landing. Turn right, north, at the abbey and continue along the main road running toward the north end of the island. Here you see the heavy traffic typical on Iona. Columba and his companions founded a monastery in 563. Iona became one of the largest religious centers in western Europe, largely driving the spread of Christianity in Britain. 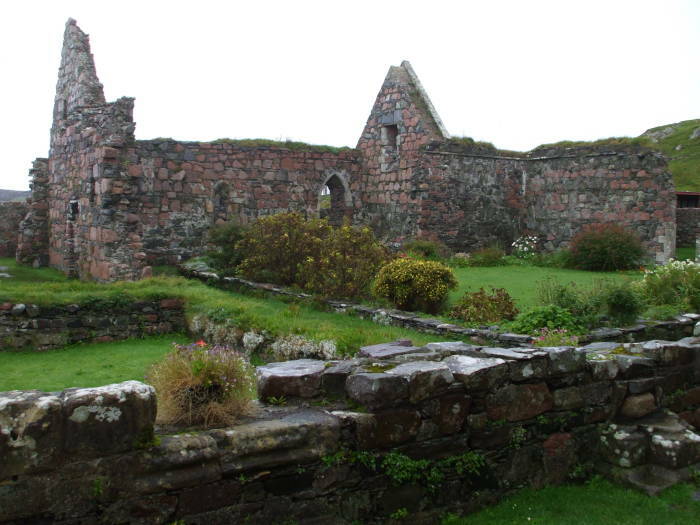 Iona's monks established affiliated religious centers as far away as Switzerland. The Chronicle of Ireland was produced here around 740, and the Book of Kells in the late 700s. But then the Viking raids began in 794, and in 806 the entire abbey population was killed, apparently in a Viking raid. The monastery was abandoned by 849. 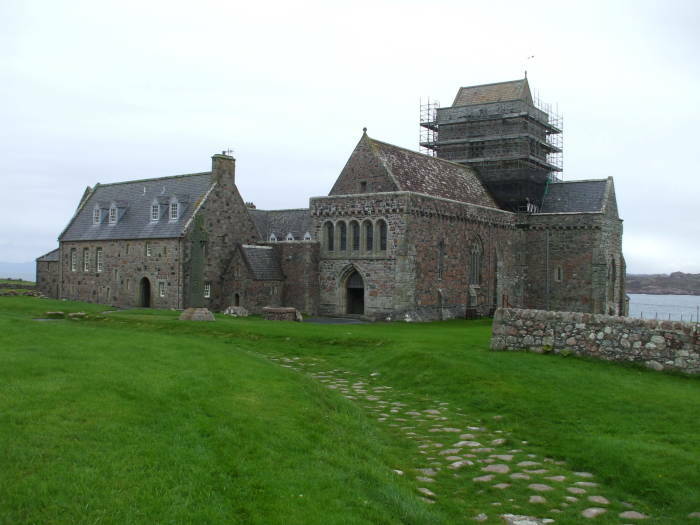 Then, around 1200, Iona was re-established as a religious center. 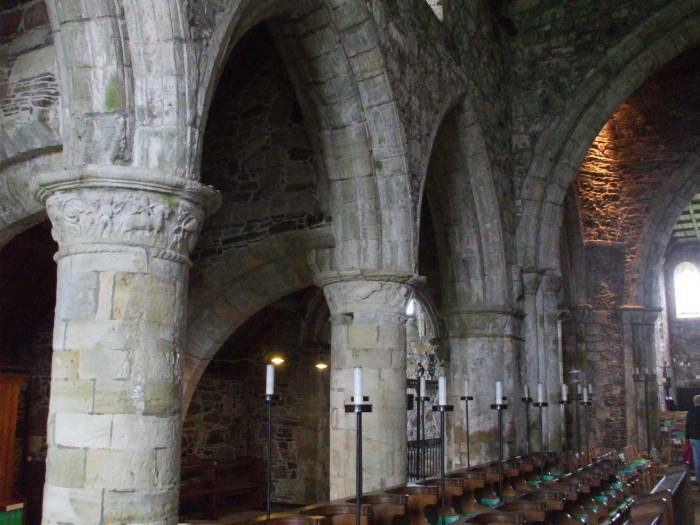 This abbey was built starting around 1200 and continued to be expanded through the 1400s. It was closed in the Reformation and sat abandoned. Then it was granted to the Church of Scotland in the 1800s, and it was largely restored. In 1938 the Iona Community was established here, and the abbey is used by that ecumenical Christian group. 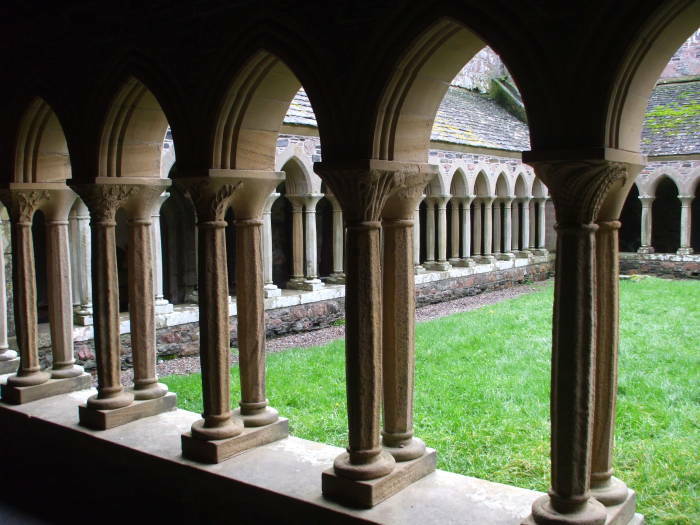 The Cloisters were originally built in the early 1200s, soon after the construction of the main abbey church. Rèilig Odhrain or Oran's Cemetery includes the Chapel of Saint Odhrán, dating from the 1100s and the oldest surviving abbey building. Odhrán was said to be Columba's uncle. 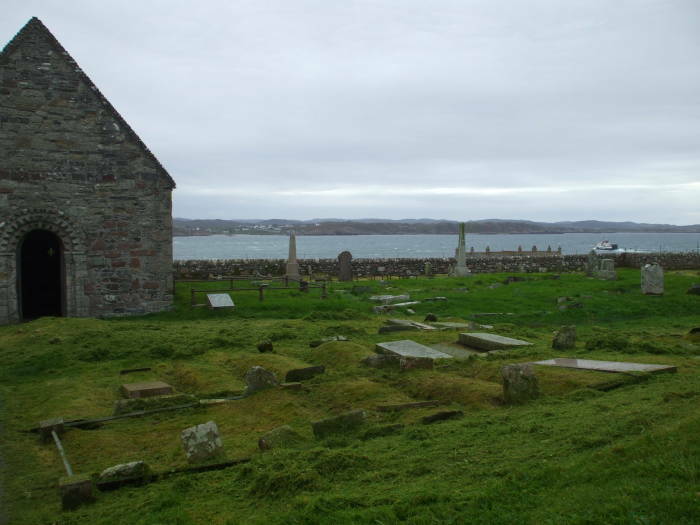 Here you see the chapel, some of the graves, and across the sound, Fionnphort on Mull. In 1549 there was an inventory of the cemetery — 48 Scottish kings, 8 Norwegian kings, and 4 Irish kings were recorded. By the end of the 1600s the inscriptions were no longer legible, so it's no longer known which grave is whose, or in many cases even precisely where the graves are. The Scottish kings include the kings of Dál Riata, the northwest part of today's Scotland. Those include Mac Bethad mac Findlaích and Donnchad mac Crínáin, better known now as Macbeth and Duncan I. Yes, these are the characters Shakespeare wrote about, although he simply made up parts of his story. Mac Bethad mac Findlaích became King of the Scots around 1040. He may have been a cousin or even a half-brother to Thorfinn the Mighty, the Earl of Orkney and Caithness. 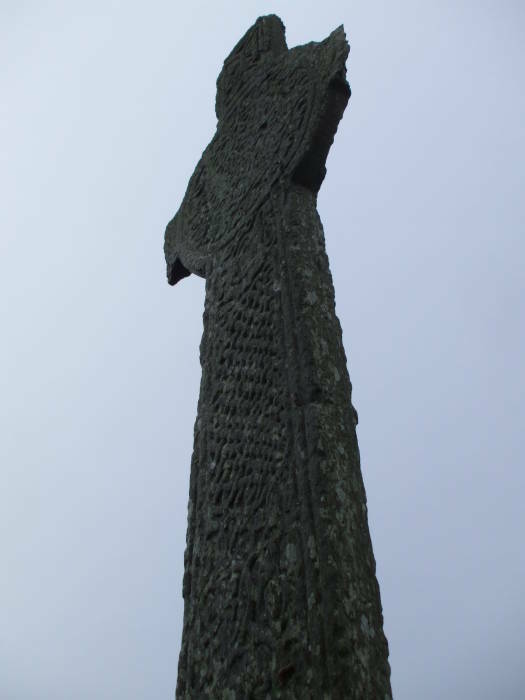 The Orkneyinga Saga describes some of the events of that era. In 1052 Macbeth accepted several Norman exiles from England into his court. In the process he may have introduced feudalism to Scotland. In 1054, Siward, the Earl of Northumbria under the English King Edward, led a large invasion into Scotland. Macbeth was defeated and killed by the future Scottish King Malcolm Ceann-mor in 1057 after having retreated over the Cairnmounth Pass to the north side of The Mounth, a range of hills in northeastern Scotland. By the late 1300s Macbeth's story was becoming more and more of a legend. Shakespeare's play, written between 1599 and 1606 (and most likely in 1606), was based on those legends. Back in the village of Baile Mòr you can see the small scale infrastructure. 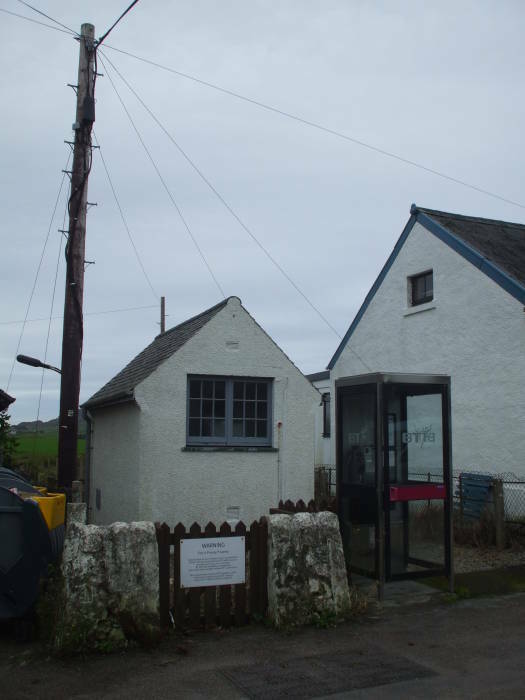 The small white shed with the phone booth in front is the telephone exchange. 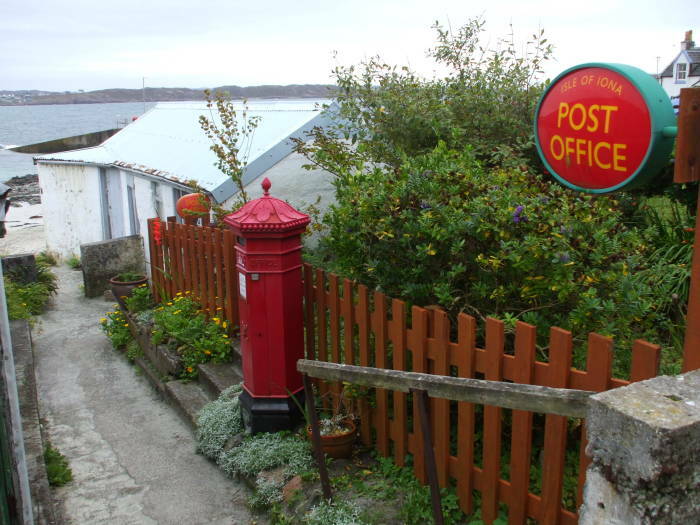 A small building on the beach is the Post Office, famously the smallest Post Office in Britain. There are two hotels in the village, and a few more places offering bed and breakfast. Things are pretty quiet in Baile Mòr. It's even more quiet outside the village. A restaurant and pub near the ferry landing offer some local fare. 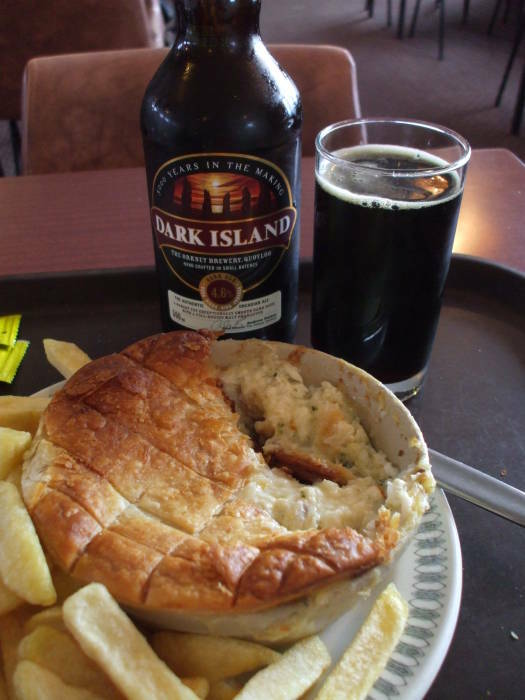 Here's a fish pie with chips, accompanied by a Dark Island ale from Orkney. Soon it will be time to catch the small ferry back to Fionnphort, to connect to the bus across Mull and the large ferry back to Oban.